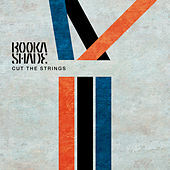 Perfecters of a rich, rewarding, big-room house sound, Booka Shade and their Get Physical label are like a flexible universal joint connecting the Berlin underground with the worldwide club mainstream. They're the rare act capable of turning out both Ibiza-caliber hits -- the island's club cognoscenti awarded "Body Language" Track of the Season in 2005 -- and moody, expansive artist albums. Walter Merziger and Arno Kammermeier released only a few records in the mid-'90s before turning their efforts to composing music for advertising. Then, in 2002, having honed their considerable production skills but needing a more fulfilling creative outlet, they banded together with their friends M.A.N.D.Y. (Philipp Jung and Patrick Bodmer) and DJ T (Thomas Koch, editor of Germany's Groove Magazine) to found Get Physical. 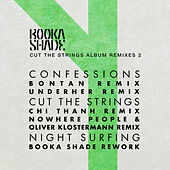 The label has gone on to become one of the premier imprints of '00s electronic music; Booka Shade, meanwhile, continue to expand their vision across singles, albums, collaborations with the likes of Hot Chip and stunning live shows.